Work Package 4 of the TAPAS project focuses on ecosystem services and societal models with respect to aquaculture. As part of this work several case studies were developed to assess the trade-offs and possible synergies between aquaculture and ecosystem services seeking to improve the environmental sustainability of European aquaculture. The Marine Institute’s case study assesses Integrated Multi-Trophic Aquaculture (IMTA) at its Marine Research site, Lehanagh Pool, in Connemara, on the west coast of Ireland. The research site is stocked with salmon, Salmo salar, and lumpfish, Cyclopertus lumpus. 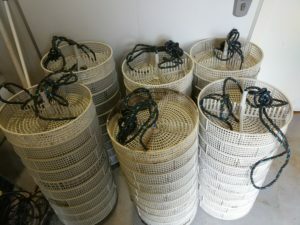 European lobster, Homarus gammarus, were deployed in Sea Based Container Culture (SBCC) systems – a novel approach to growing lobsters utilising a technology originally developed for oyster cultivation. Algae, grown on seeded longlines was placed in situ adjacent to the farm pens and the lobster stacks. The multiple species will be on site for a number of months, monitored for overall growth and nitrogen uptake from the water column. 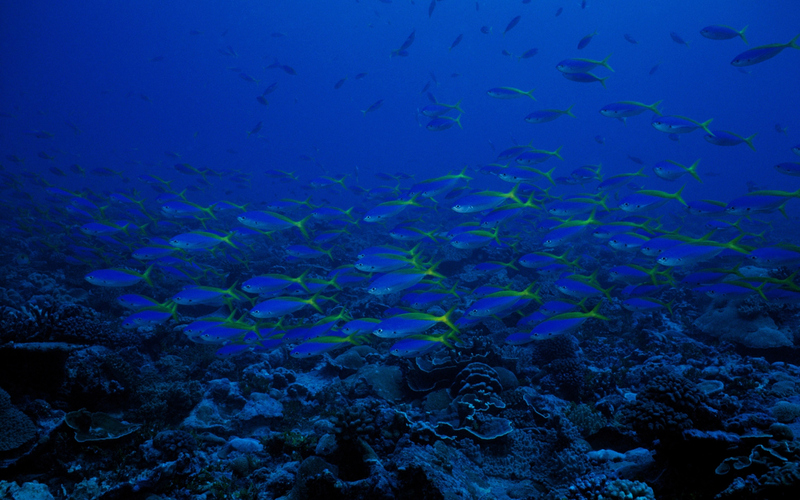 Further research by teams at the University of Stirling and the Marine Institute will use a modelling approach, to investigate the overall ecosystem services provided by utilising IMTA.